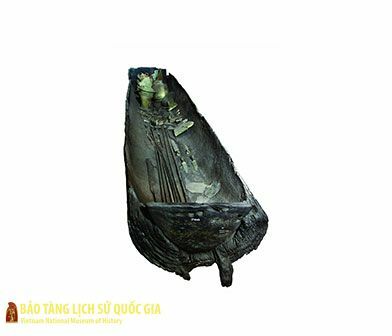 In the morning of January 18, 2019, VNMH organized the opening ceremony of the Special Exhibition “Maritime Secrets from Ancient Shipwrecks” at No. 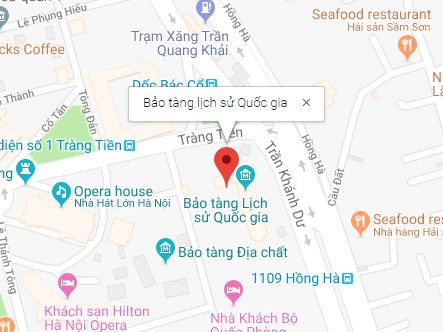 1, Trang Tien Street, Hoan Kiem, Hanoi. 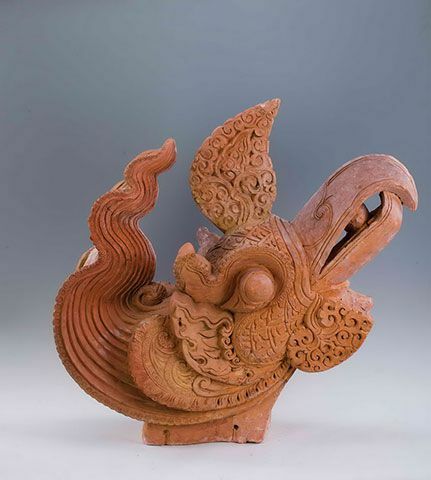 (VOVworld) – A Vietnamese village’s communal house is of symbolical significance and filled with historical stories illustrating villagers’ aspirations through carving features. 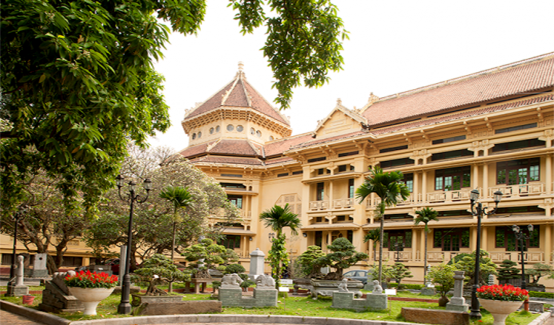 Organized by: Ho Chi Minh City Institute for Development Studies Southern Institute of Social Sciences Ho Chi Minh City University of Culture Cultural heritage is a valuable asset for every nation, its people and communities. 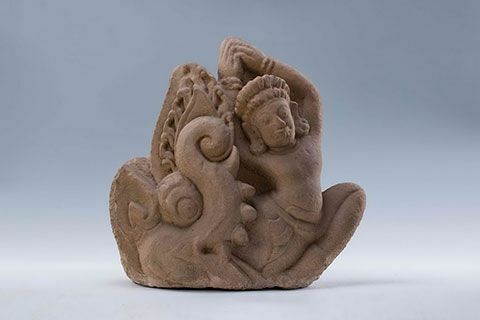 The field of heritage conservation is broad and includes many perspectives, and this makes the protection and promotion of cultural values complex. 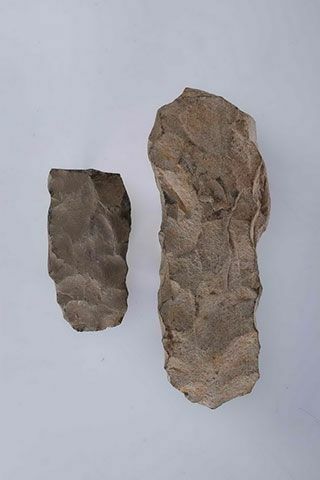 In the general trend of integrating conservation at an international level, activities to protect and promote values have done much to highlight humanity’s achievements; however, various issues have also come to light in relation to viewpoints, perceptions, processes and implications. 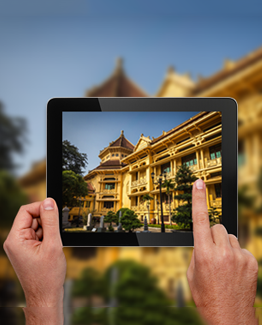 VietNamNet Bridge – The Reunification Palace, Saigon Notre-Dame Basilica and the Nha Rong Wharf are renowned for both their unique architecture and historic significance. 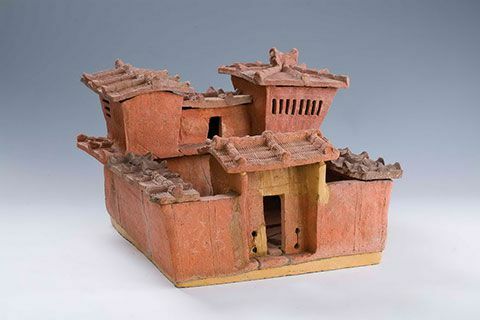 Below are the most famous architectures in the city. 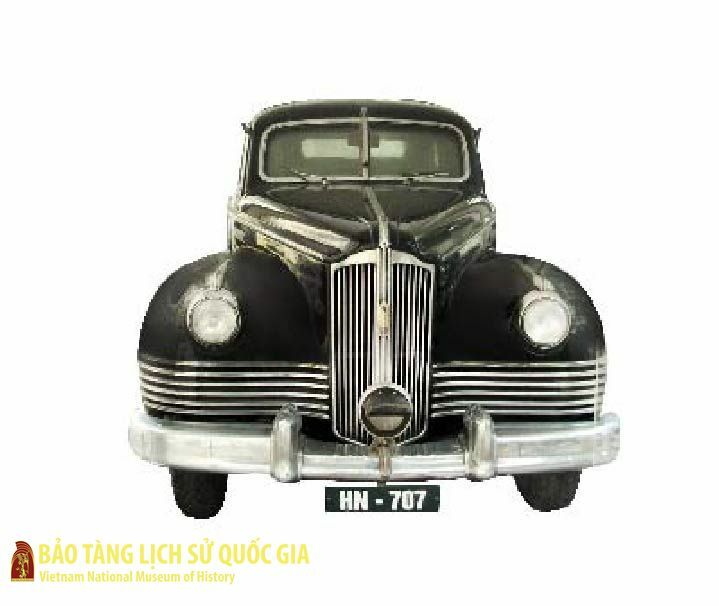 72 years ago, in September, 1940, the Communist Party in Bac Son District launched a revolt to gain authority from the French, attack the French stations and armed units and establish the Vietnamese armed force while the French government collapsed after the Japanese invasion in Indochina. 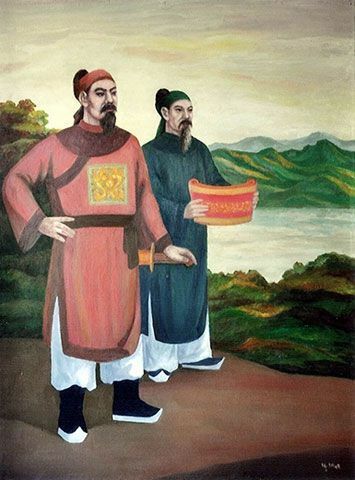 Nguyễn Trãi, also known under his style name Ức Trai (1380–1442) was from Chi Ngại village, Phượng Sơn district, Lạng Giang (now Chí Linh, Hải Dương Province). 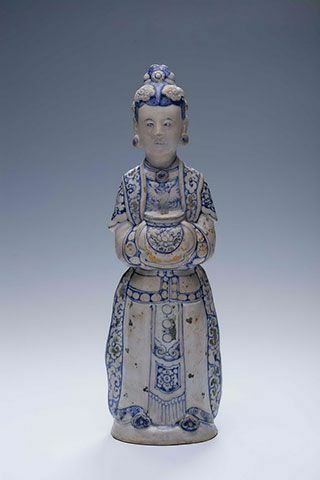 His father was Nguyễn Ứng Long (Nguyễn Phi Khanh), a Confucian scholar and mother Trần Thị Thái, daughter of high ranking mandarin Trần Nguyên Đán of Tran dynasty. 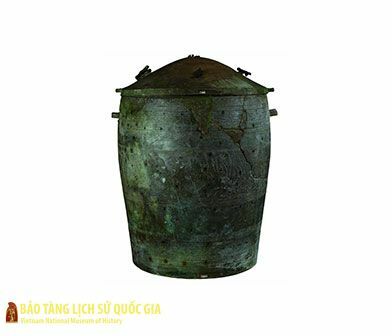 Fifteen years ago, an international conference called “What choices for Vietnam” and an exhibition named “Resurrection” were held at the National Museum of Vietnamese History. 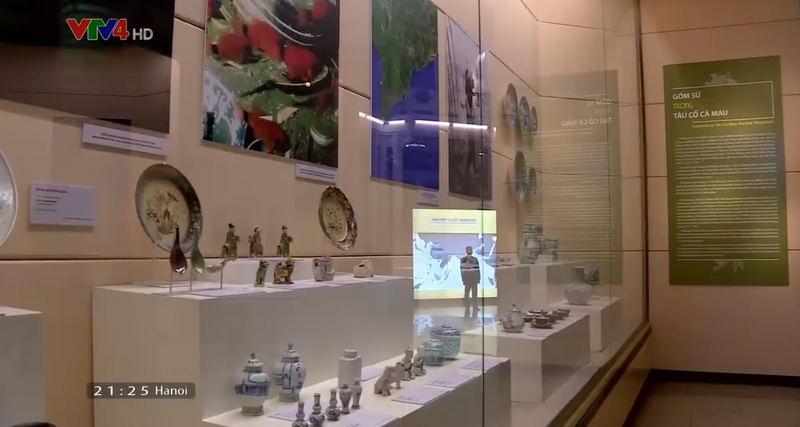 The event marked the successful partnership and reported the outcome of the collaborated project on artefacts preservations between the Museum of Vietnamese History (now the National Museum of Vietnamese History) and the Mariemont Museum (Belgium). 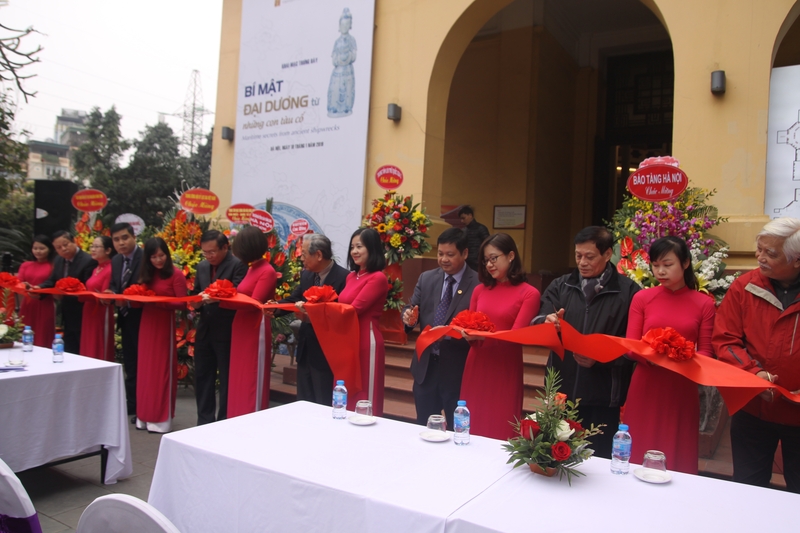 With the sponsors of said organsations, the event supported and developed shared knowledge of the French-speaking Belgians living in Vietnam. 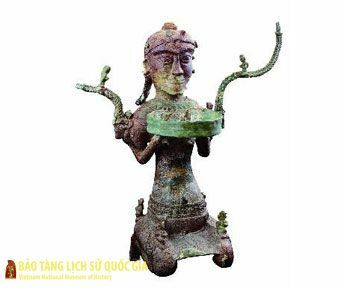 The role of the Vietnam National Museum of History (VNMH) in balancing political history, ethnography and art. 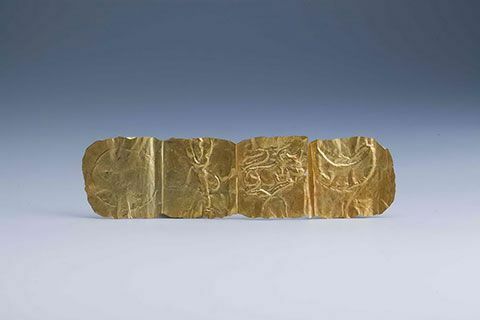 (Thesis at the 5th Conference of the Asian National Museums Association ANMA). 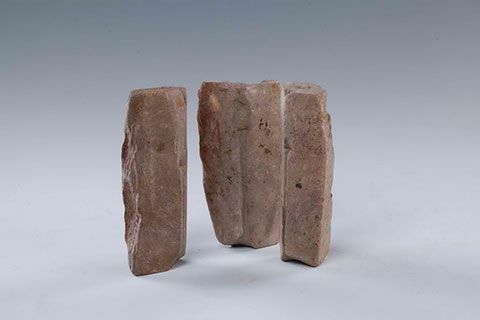 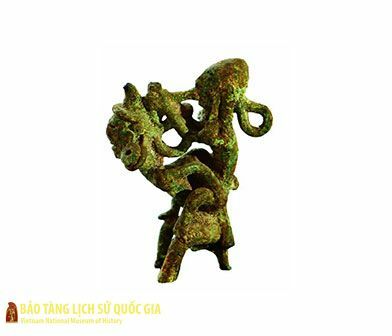 In the proto-historical time, on today S-shaped land of Vietnam, there were three brilliant archaeological cultures: Dong Son, Sa Huynh, Oc Eo. 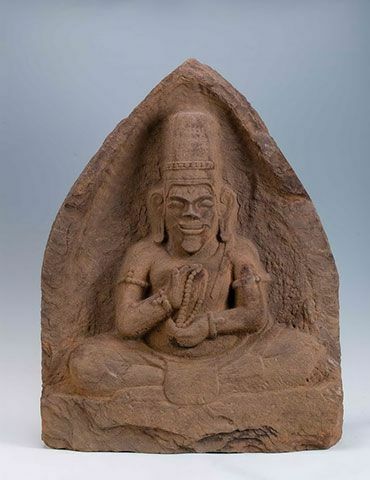 They were three cultural transmitting centers in Southeast Asia and beyond. 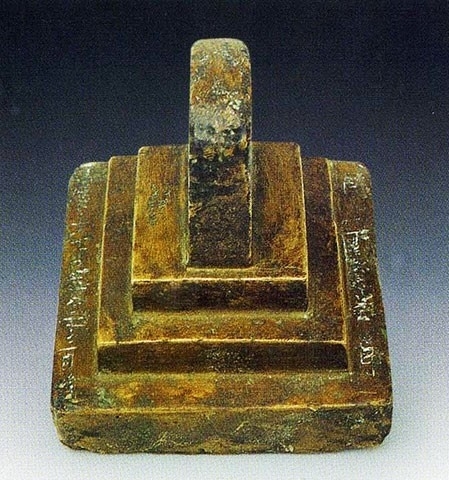 Among these centers, in my point of view, Dong Son culture is more pervasive both in space and time. 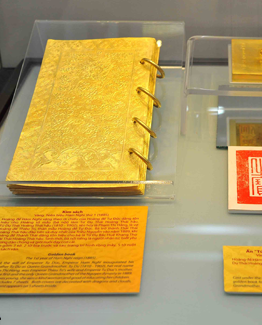 In terms of space, there have been many monographs mentioning the effects of Dong Son culture on contemporary cultures. 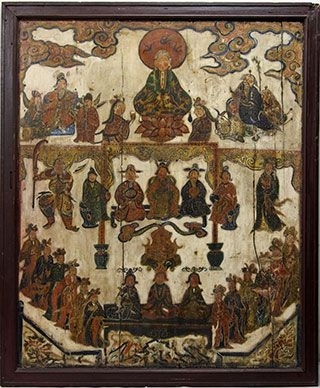 In terms of time, however, there is almost no research that explains the nature of the preservation of Dong Son elements in the national cultural flow. 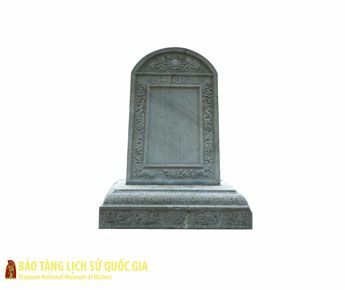 In this article, I am going to show the effects of Dong Son art in the post-Dong Son periods in Vietnam. 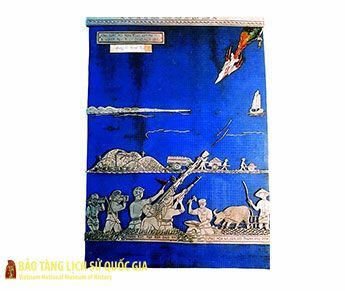 At the same time, I also analyze the geo-political and geo-cultural context that made Dong Son a long-lasting vitality in the Vietnamese cultural tradition. 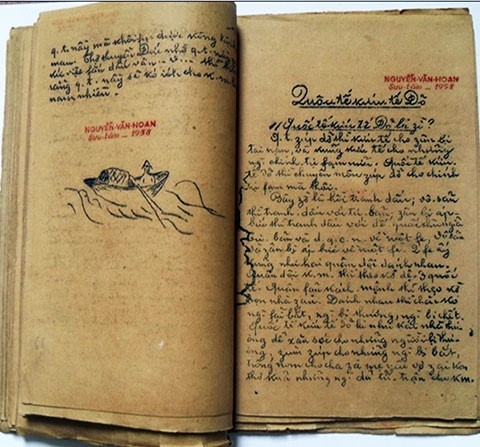 Denmark is known as the leading marine nation in the world. 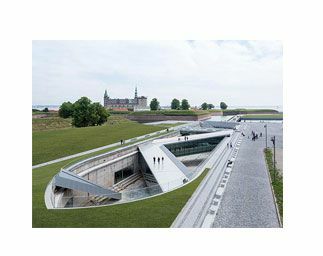 Inaugurated on 5 October 2013, the National Maritime Museum of Denmark, with its unique "underground" architecture, has become an important part of the national museum system. 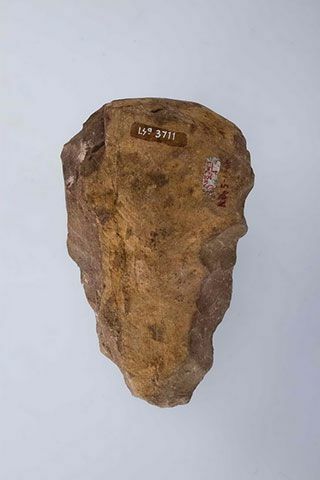 It organizes outdoor activities, exhibitions, events and becomes a cultural center not only of Helsingor but also of Denmark. 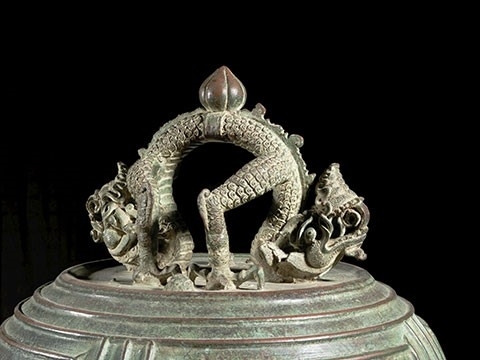 A bronze bell was found by local fishermen on a summer morning 1958, in coastal area of Do Son port. 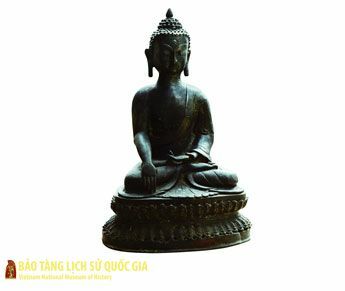 There is not a random case when 2 bronze drums and 2 bronze statues of Dong Son culture were assigned the title of National Treasure in 1st review among 30 other artifacts. 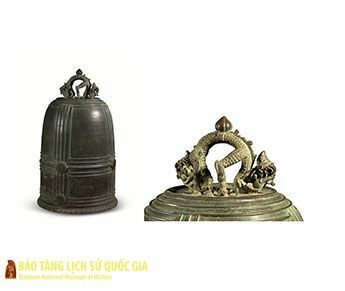 Bronze drums Ngoc Lu and Hoang Ha are quite famous so there is no need to advertise them more, Lach Truong bronze lamp is also deservedly a National Treasure and there are a lot of articles about it. 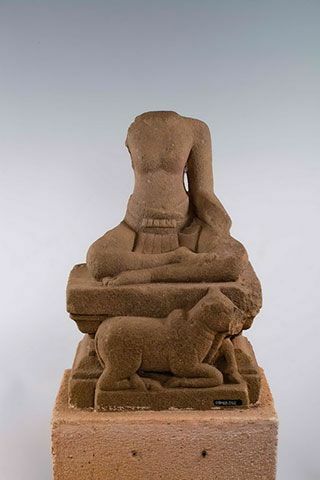 So what about the rest statue? 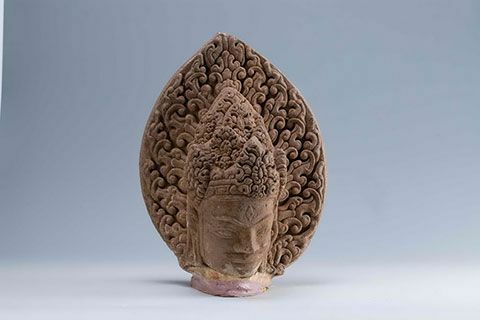 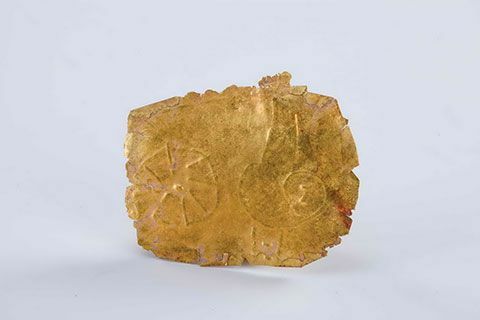 Sanh Mon Ha Seal is one of 30 representative museum pieces that have been recognized by the prime minister as national treasures in first review by the decision 1426/QĐTTg on October 1th 2012. 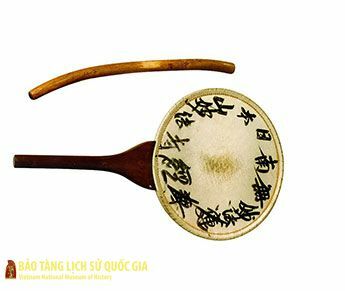 The name of the seal sounds as pronunciation of 4 Chinese characters of seal style in the face of the seal. 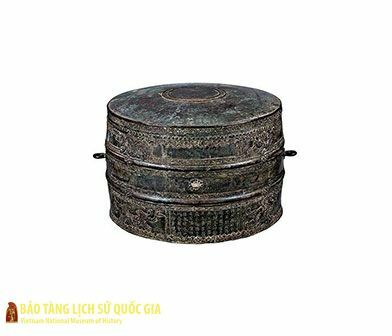 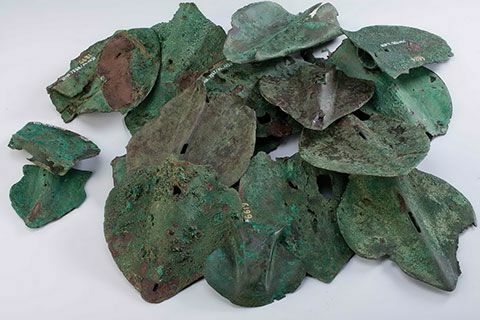 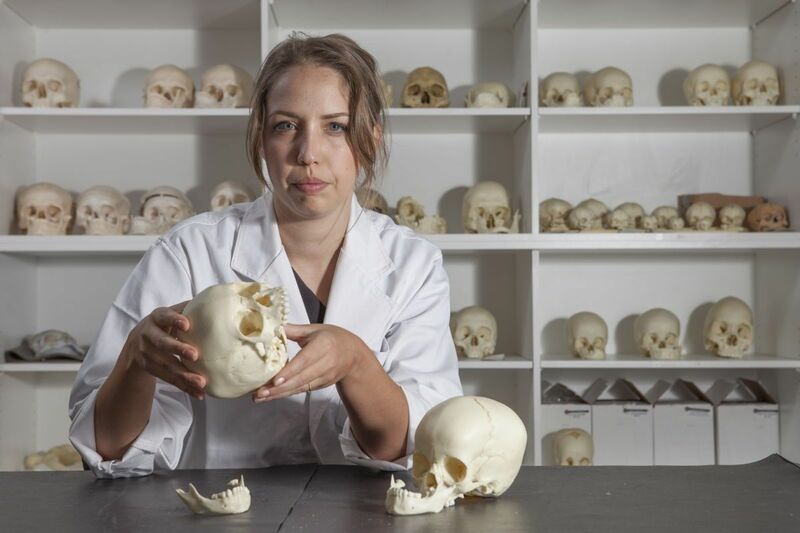 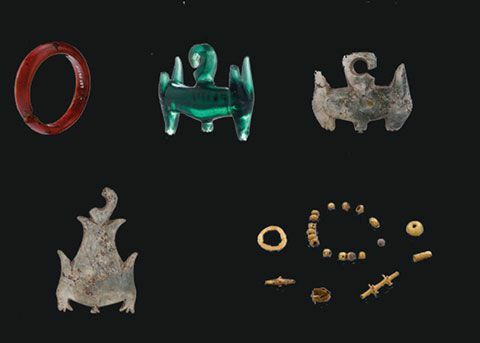 Artifacts recognized as National Treasure must be precious and unique. 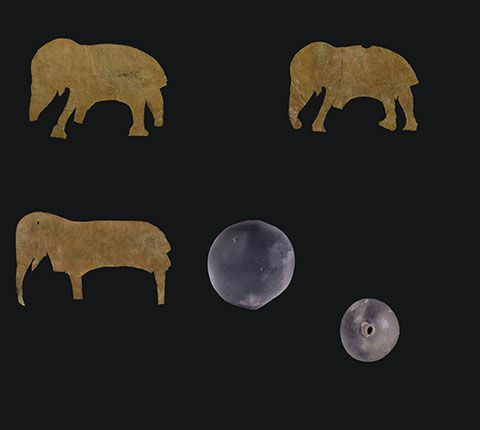 Like human, they can tell us much more stories. 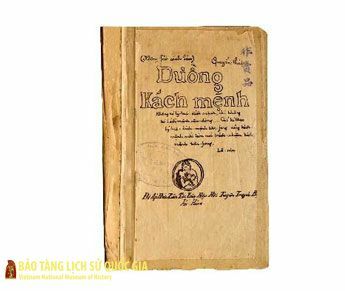 We’ll follow the becoming of "Đường Kách Mệnh" for understanding the fate and vitality of the book. 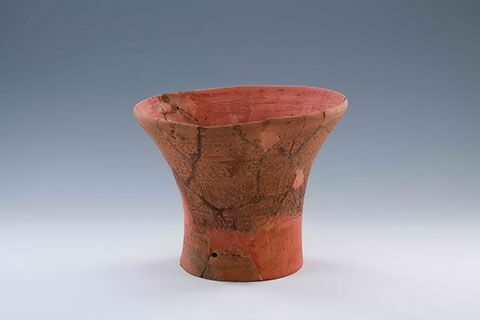 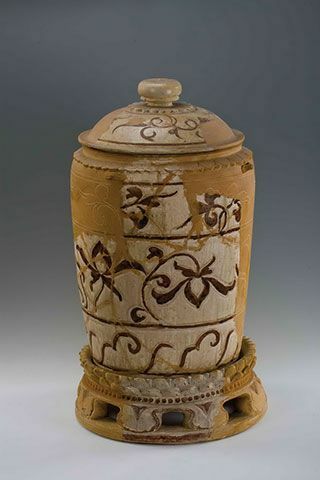 The famous jar was recognized as National treasure in 1st review along with 30 other masterpieces. 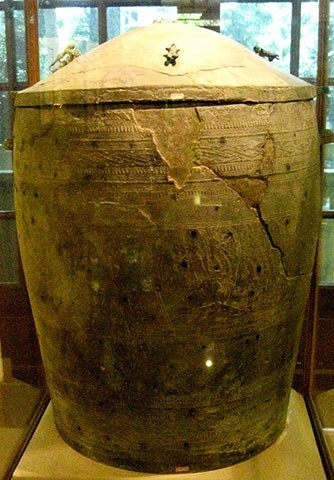 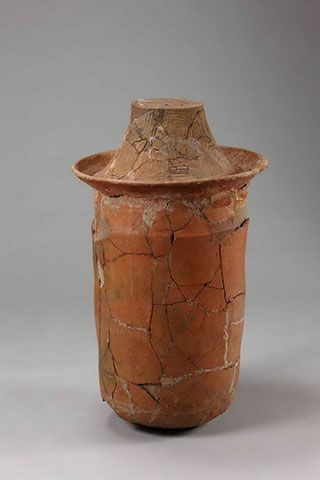 This is the biggest jar found in Vietnam and probably in the world because of its originality and belonging to Dong Son culture. 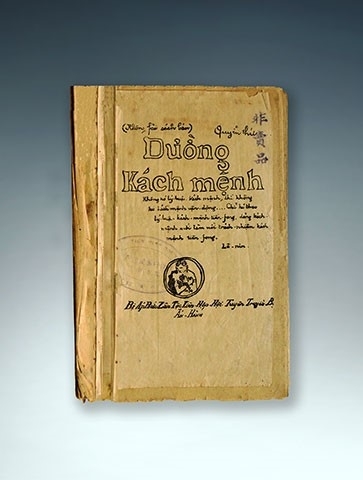 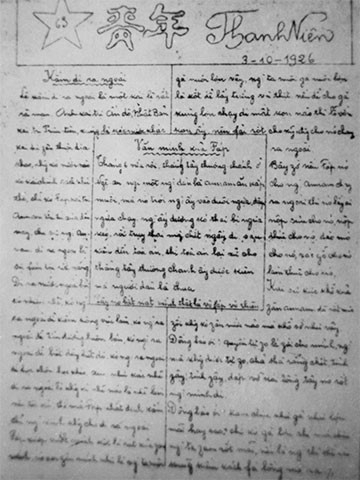 The book of “Đường Kách Mệnh” (Revolutionary way) by Nguyen Ai Quoc (Ho Chi Minh pseudonim): Appearance and becoming. 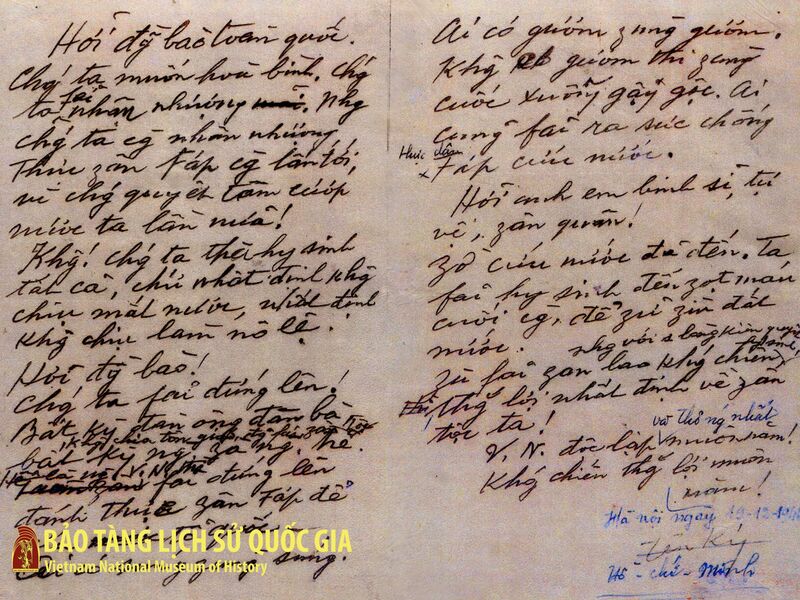 November 1924 Nguyen Ai Quoc arrived to Guangzhou China where was in a favorable political situation. 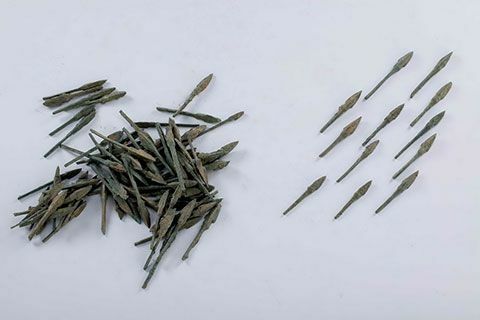 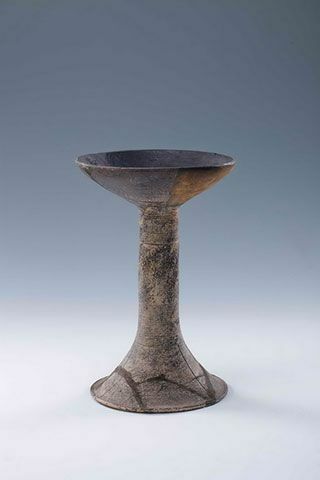 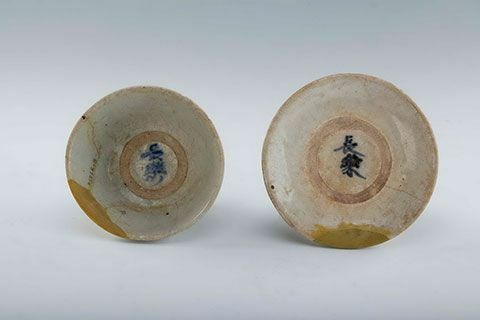 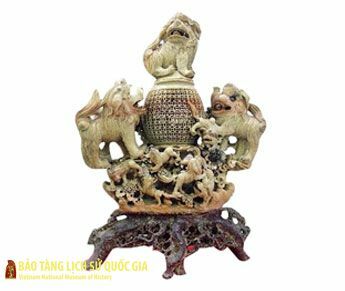 Among 30 museum pieces recognized in 1st review as National Treasures a piece from sea, exactly from estuary: Lach Truong estuary, the land between 2 districts of Thanh Hoa province Hau Loc and Hoang Hoa. 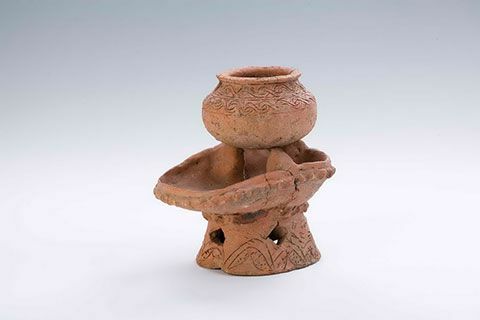 The treasure called bronze lamp which was found in 1953 in brick tomb aging first centuries AD. 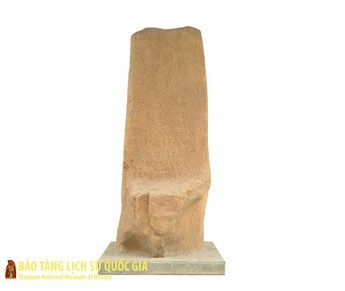 Nam Giao Temple Stele, stone, Thang Long citadel (Hanoi), erected in the the 4th year of Vinh Tri reign, Le Hy Tong dynasty (1679AD). 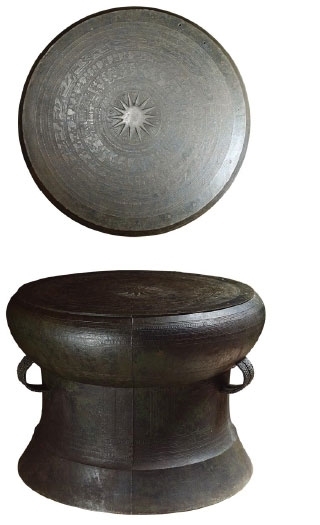 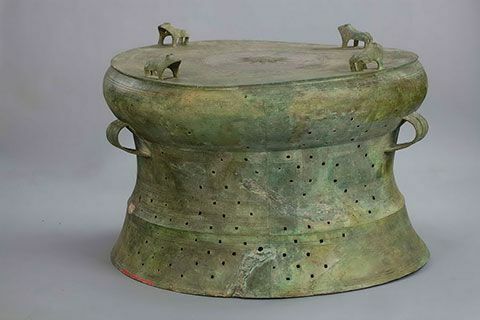 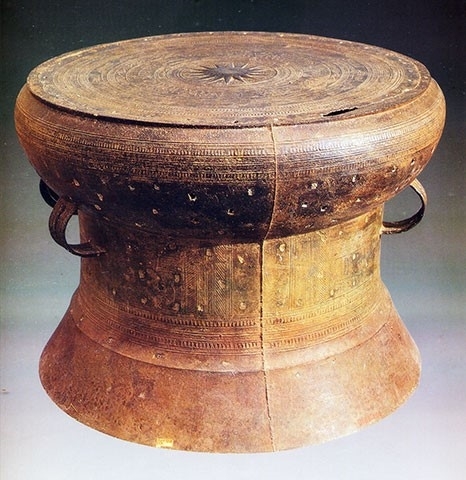 The Canh Thinh Drum, bronze, in the 8th year of the reign of Emperor Canh Thinh, Tay Son dynasty, 1800 AD. 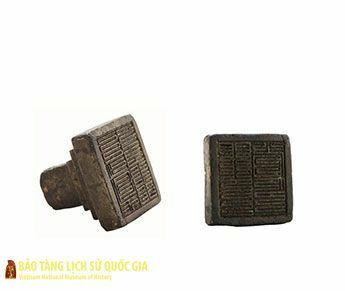 Bronze Royal Seal “Mon Ha Sanh An”, bronze, Tran Due Tong Dynasty (1377 AD. 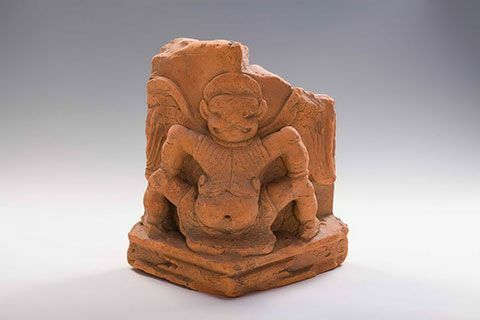 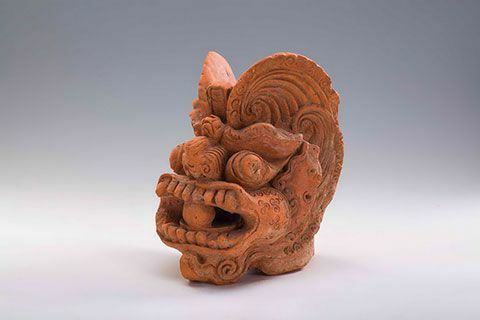 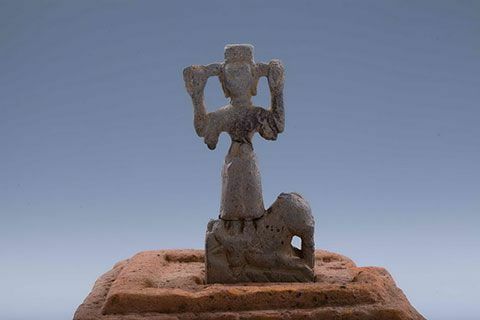 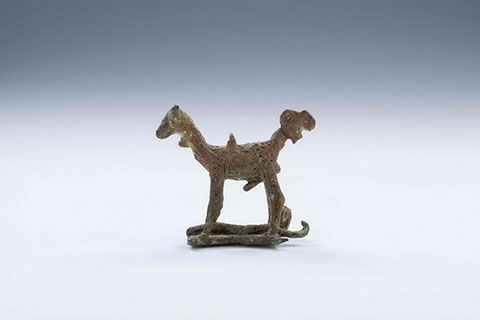 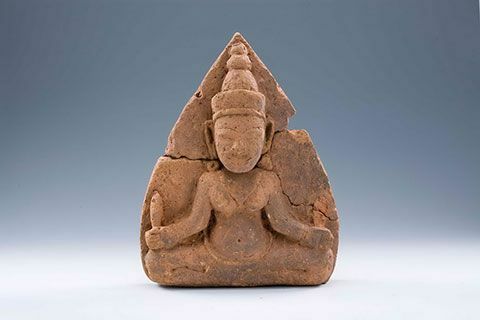 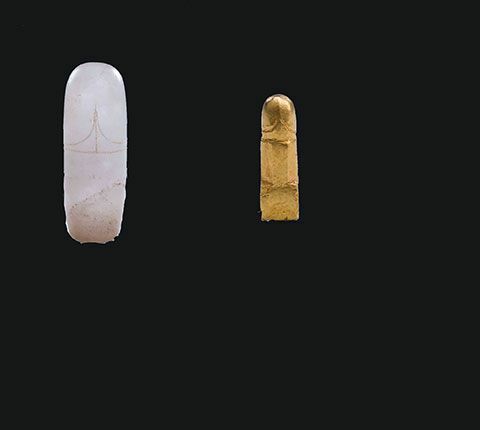 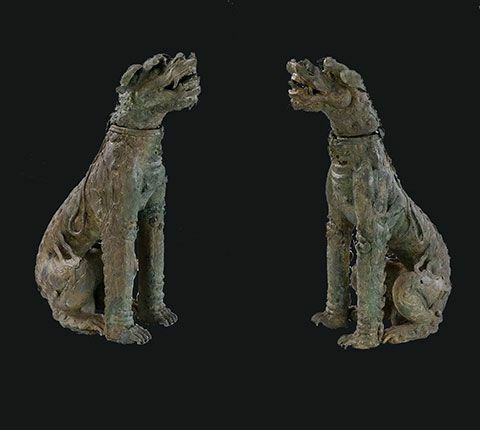 ), discovered in Huong Khe district, Ha Tinh province in 1962 AD. 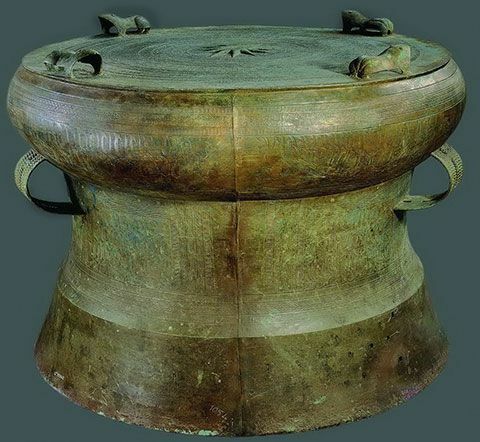 Dao Thinh jar, bronze, Dong Son culture, c. 2,500-2,000 BP. 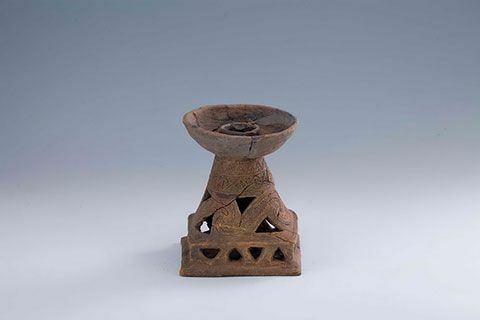 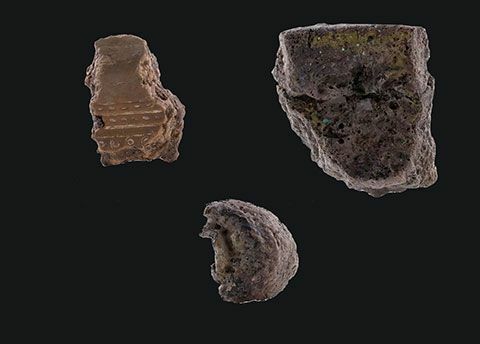 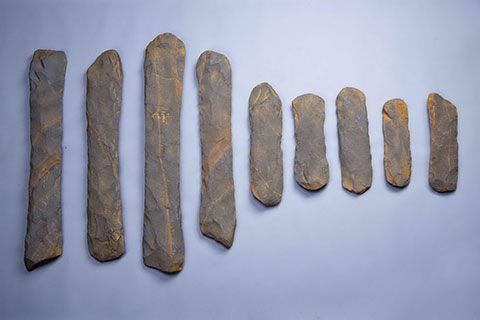 Viet Khe ancient tomb, wood, c. 2,500-2,000 BP., discovered in Ngoc Khe village, Viet Khe commune, Thuy Nguyen district, Hai Phong city, 1961. 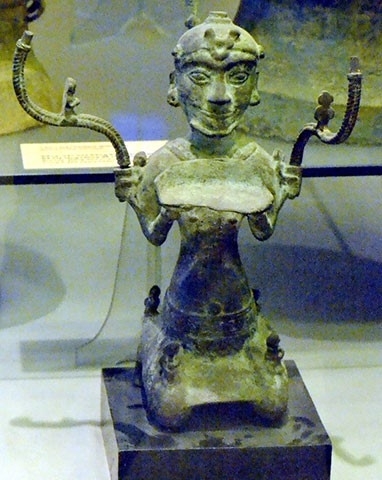 Bronze Lamp in the Shape of a Kneeling Man, bronze, c. 2,000-1,700 BP. 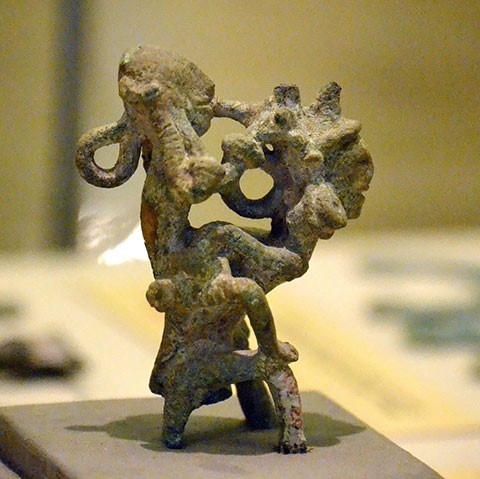 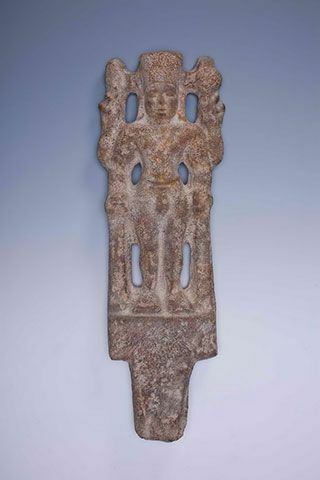 Statue of a Pan pipe-playing Couple Piggybacking, bronze, Dong Son culture, c. 2,500-2,000 BP. 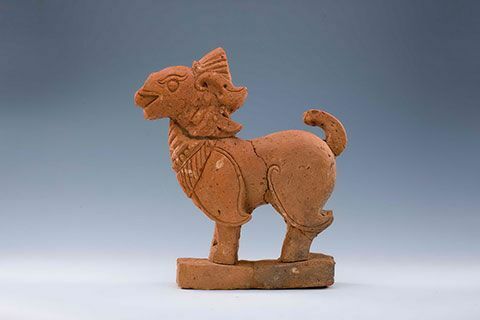 Lion-shaped incense burner, a gift from the Chinese people to President Ho Chi Minh, 1959. 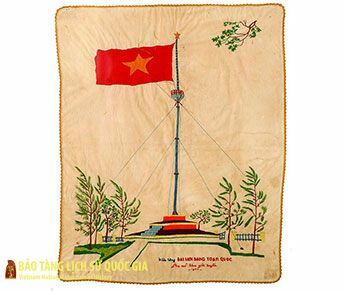 Embroidery, a gift from women of Quang Tri province to the Vietnam Labour Party, 1960. 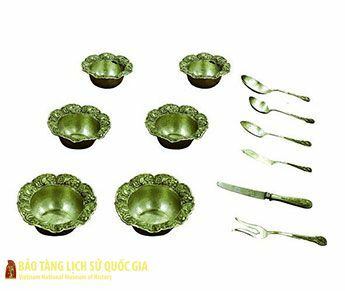 Silver tableware set, a gift from the Mongolian people to President Ho Chi Minh, 1955. 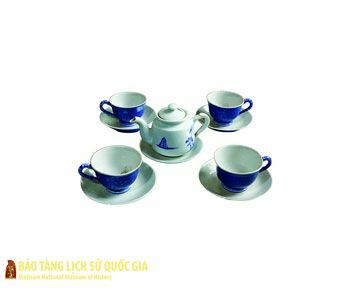 Tea set, a gift from Southern invalid soldiers to President Ho Chi Minh on the occasion of his 70th birthday, 19 May 1890 - 19 May 1960. 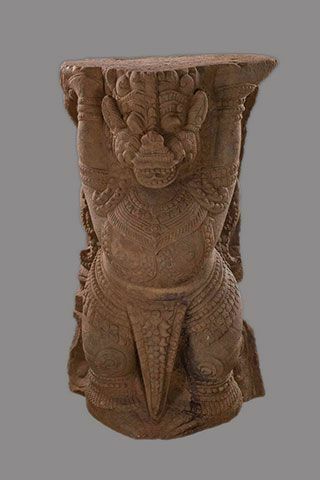 Buddha statue, a gift from the Indian people to President Ho Chi Minh, 1958. 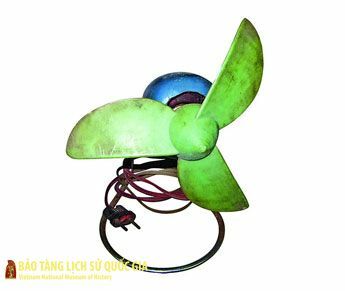 Electric fans, the Subsidy Period. 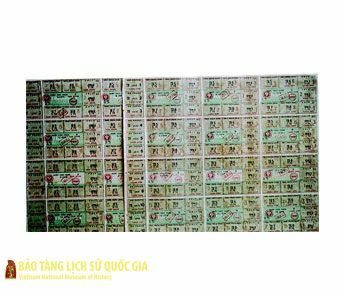 Coupons for food purchases in the Subsidy Period. 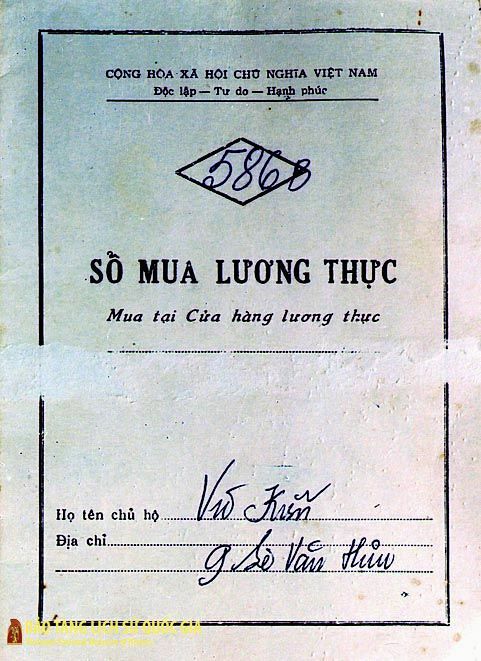 Coupon booklets for food purchases, the Subsidy Period. 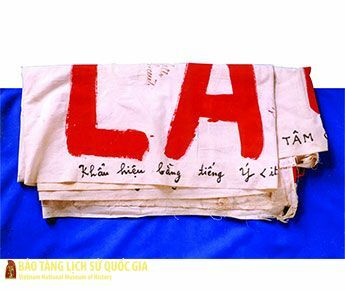 Banner with the slogan “Vietnam is the human conscience of our age”, used by Italian participants in mass demonstrations in support of the Vietnamese people’s struggle against the Americans, 1970. 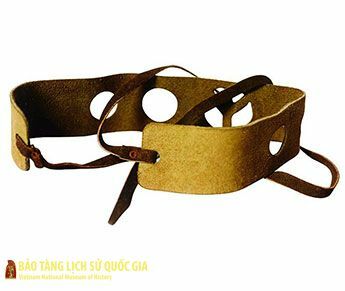 Leather head-band produced by American anti-war organizations and worn by young protestors in the mass anti-war demonstrations in Washington DC, 22 April 1970. 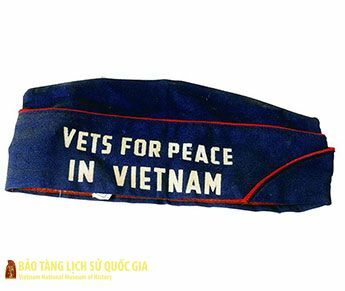 Caps, worn by American Veterans in the mass protests in Washington, D.C. in support of the Vietnamese people’s struggle against the Americans for the salvation of the nation, 20 December 1966. 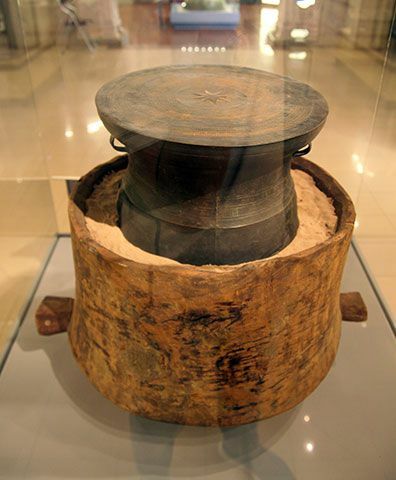 Drum, used by Japanese Buddhist campaigners in the struggle to support the Vietnamese people, in the period of 1965-1967. 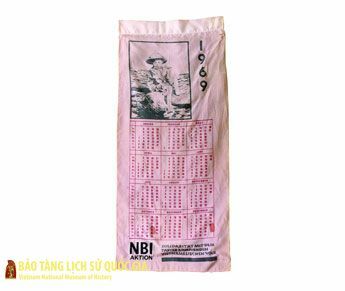 Calendar, produced and sold by garment workers in Berlin (Germany) to raise funds in support of the Vietnamese people’s struggle against the American, 1969. 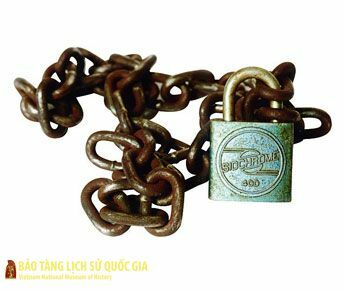 Padlock and chain, used by Australian protestors in demonstrations outside Australia's Parliament in support of the Vietnamese people's struggle against the Americans. 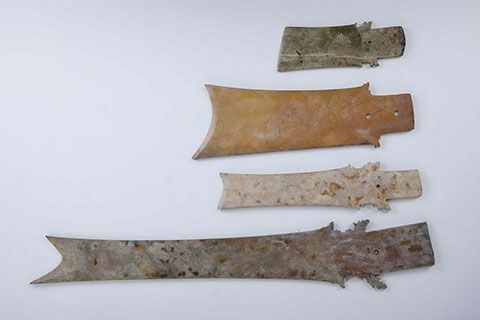 Painting made from pieces of a downed aircraft, a gift from the Democratic Party Unit of Vinh City to the Communist Party of Vietnam, 1968. 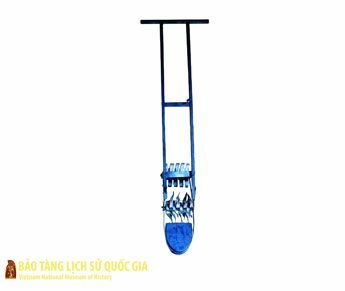 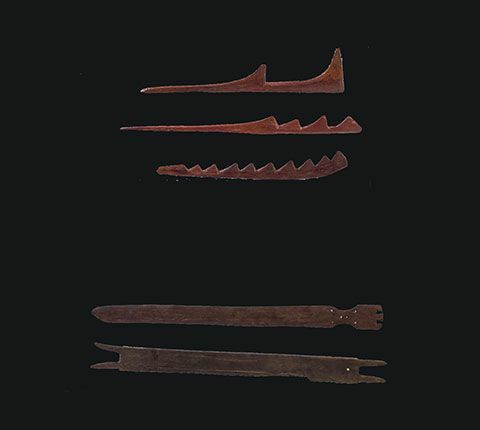 Rake, made from pieces of aircraft wreckage by Labor Hero Dinh Nhu Gia and members of the cooperative of Gia Ho commune, Vinh Linh district, Quang Tri province. 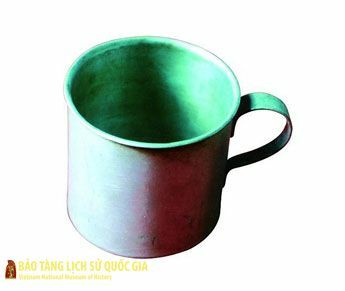 Mug, made from fragments of an aircraft shot down on 28 May 1965 by policemen of Station 56, Vinh Linh. 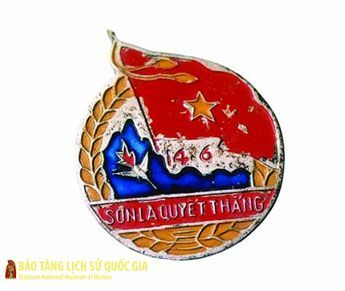 Badge “Son La quyet thang” (Son La is Determined to Win), made from pieces of the aircraft shot down in Son La on 14 June 1965. 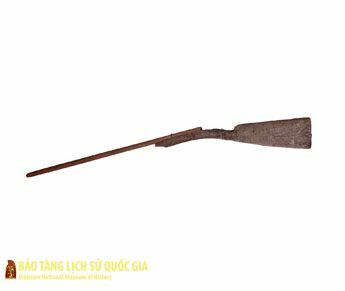 Wooden gun, made and used by people of Dinh Hung village (Ben Tre province) in the Dong Khoi campaign, 1960.